HCMC – Garment and textile manufacturers are finding Vietnam an increasingly attractive destination to set up their operations. This enthusiasm was on full display at the recent Saigon Tex garment and textiles annual expo held in Ho Chi Minh City. Also known by its full title, “The International Fair on Garments and Textiles Equipment and Accessories,” Saigon Tex brought together over 500 businesses from 22 countries. This year’s event was more popular than ever, with a 40 percent increase in the number of businesses attending and a 30 percent increase in the display area. Saigon Tex is organized by the state-owned Vietnam National Textiles and Garments Group (Vinatex), the VCCI Exhibition Service Company and the Hong Kong Exhibition Joint Stock Company. 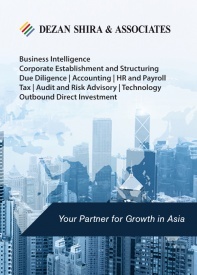 Vietnam stands out among the region as a particularly attractive location for manufacturers. Looking around the region, Vietnam stands out as an ocean of stability and promise – Thailand is wracked by political upheaval, Cambodia suffers from labor strikes and Myanmar’s infrastructure is severely lacking. 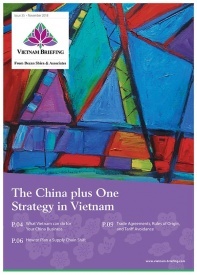 A further attraction for manufacturers heading to Vietnam is the soon to be completed Trans-Pacific Partnership (TPP). As a result of this American-led free trade agreement, Vietnam would see tariffs on textiles and garments drastically reduced. 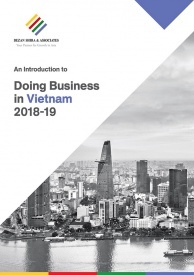 In order to take advantage of this potential tax reduction, foreign companies must physically locate themselves in Vietnam and begin producing textiles and garments for export. Foreign companies are pouring into Vietnam and the garment and textiles industry is booming as a result. In the first quarter of 2014, the country’s textile exports increased by 20 percent Y/Y. However, there may be limits to this growth unless Vietnam’s government and the local industries are quick to act – the majority of the materials used in the garment and textile industries are not imported from local suppliers. 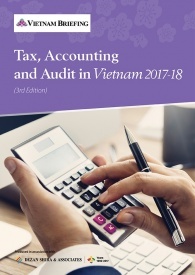 According to the Yarn-forward Rule in the TPP, if Vietnam does not make clothes from materials originating from TPP member countries, then it may not be eligible to receive all the tax-free import benefits that it is entitled to. In response to this crucial issue, the government has publicly espoused the goal of producing more fabrics locally. As part of this effort, Vietnam is seeking ways to become a value-adding country in the production chain. Steps like this are crucial to the future growth of the country. 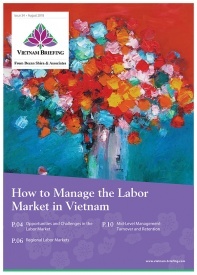 In 2010 Vietnam became a lower middle income status country; however, it is still dependent on cheap labor. In order to prevent itself from falling into the middle income trap, the country must find ways to keep growth moving. Value-adding is one key way on the path to future growth. RELATED: Has Vietnam Fallen into the Middle Income Trap? During 2013, Vietnam earned US$20.4 billion in export revenues from its garment and textile industries, an increase of 18 percent year-on-year (Y/Y). These industries have set a target of US$25 billion in export revenue for 2014. To achieve this goal, the industry is investing in technology and processes to increase product quality. In January of this year, the Hong Kong and Shanghai Banking Corporation (HSBC) conducted a survey that found that demand from the U.S. and EU, which accounts for 18 percent and 14 percent of Vietnam’s exports respectively, will purportedly help exports grow at 20 percent this year. Export businesses, especially foreign-invested manufacturing firms, will provide a much needed boost to Vietnam’s growth. With the fast growth in exports and the nearing completion of advantageous free trade agreements, Vietnam is well positioned for strong growth in 2014. 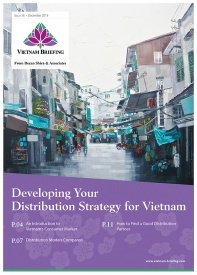 For further details or to contact the firm, please email vietnam@dezshira.com, visit www.dezshira.com, or download our brochure.